Dr. Butani, Professor of Pediatric and Chief of Pediatric Nephrology, has board certification from the American Board of Pediatrics in pediatric nephrology. He is a member of the American Society of Nephrology, American Society of Transplantation, International Pediatric Transplantation Association, Western Society of Pediatric Research, American Federation for Medical Research and the Sacramento Pediatric Society. 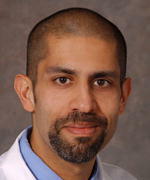 His research interests are focused on improving the outcomes after kidney transplantation by optimally using newer immunosuppressive medications and regimens for children and also studying the implications of calcium excretion in the urine on the risk of stones and osteoporosis in children of different ethnic backgrounds. Dr Butani is passionate about medical education and is the Co-Director of the 3rd Pediatrics Clerkship. Lavjay Butani has special interests in the treatment of children with high blood pressure, prenatally diagnosed kidney abnormalities, or urologic diseases. He also treats children who have kidney failure and require dialysis and/or transplant. His research has focused on newer immunosuppressive medications for children with kidney transplants.